For my final project for my Adobe Photoshop course at the School of the Art Institute of Chicago, I decided to focus on developing a series of prints featuring famous women that I admired for their talent, intelligence, and strength from a wide variety of cultural and artistic backgrounds. 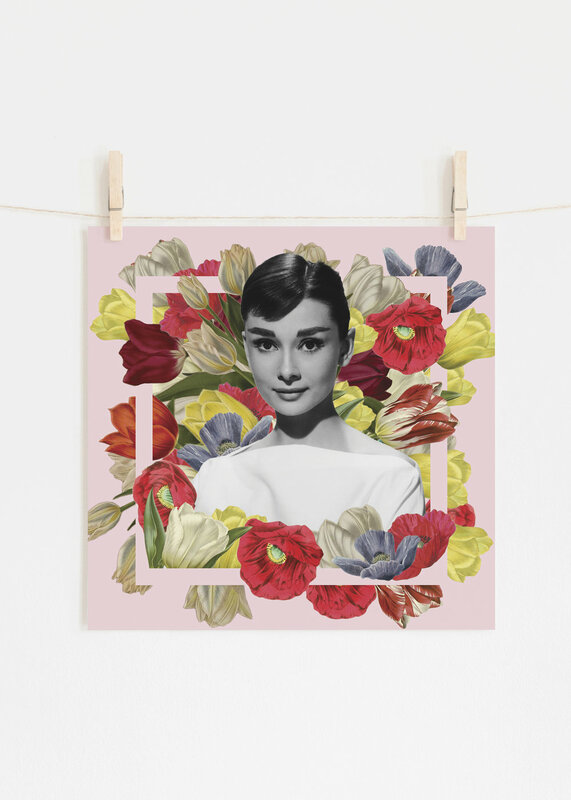 The final prints included actress Audrey Hepburn, singer Billie Holiday and artist Frida Kahlo. 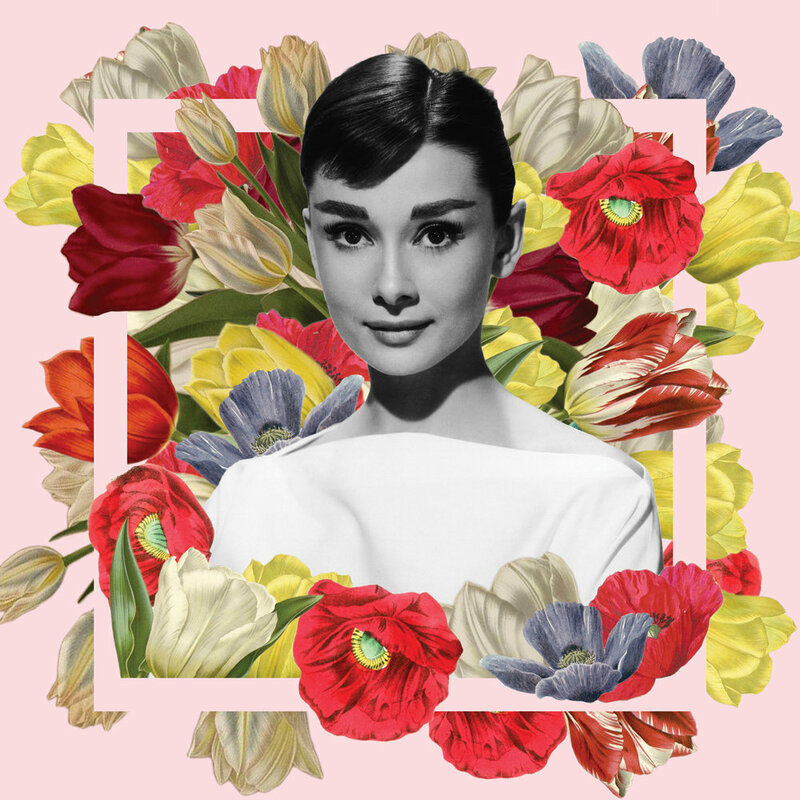 Surrounding classic images of these talented women are vintage botanical illustrations of flowers they were known to be fond of, as well as the national flowers of their home countries. For Audrey, these were tulips, particularly white tulips, along with red poppies from her native Belgium. 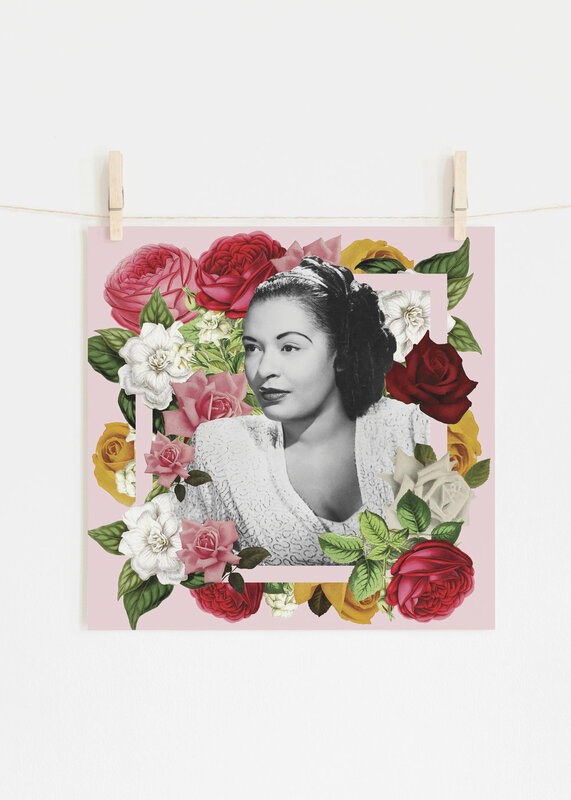 For Billie, white gardenias she was known to wear in her hair for performances, as well as roses, the national flower of the United States. And finally, for Frida, dahlias, the national flower of Mexico, along with a variety of marigolds, irises, calla lilies and cannas, flowers she grew in her garden and painted throughout her career. Each final print measured 20x20 inches.